Brandon + Becky had their reception in Milan. Besides doing the reception, we also provided them with music playback for their ceremony. This package is great for on-site weddings, we even give your officiant a wireless lavaliere so that everyone will hear you exchange your vows. We played a variety of music to get everyone out from their chairs once dinner was over with. Becky even had a nice touch by dedicating a song to their sister who traveled from out of the country to be at the wedding (pictured above). 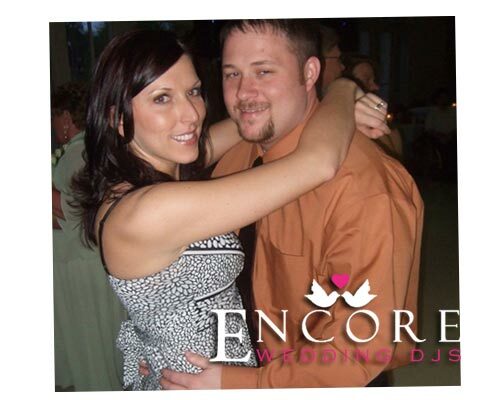 Thanks again for inviting us, and if you are interested in having Encore entertain your upcoming reception then check your date on the right.